Facebook’s Mark Zuckerberg to take two months of paternity leave. 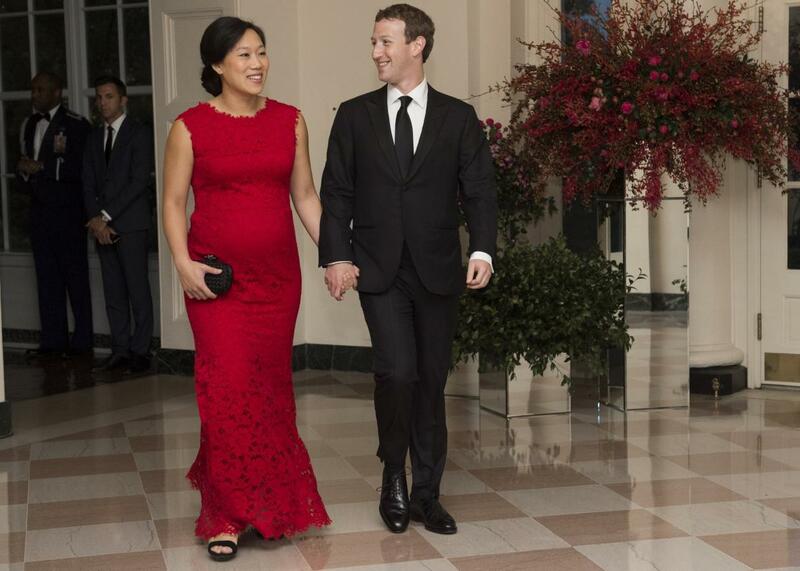 Facebook CEO and Chairman Mark Zuckerberg and his wife, Priscilla Chan, arrive for a state dinner hosted by President Barack Obama for Chinese President Xi Jinping at the White House in Washington, D.C. on Sept. 25, 2015. Although it was a personal announcement, the statement by one of the world’s most powerful business executives will no doubt be seen as an endorsement of the idea that everyone—no matter how senior—should take time off after a baby is born. The debate over the need for work-life balance has raged particularly strongly in Silicon Valley, where tech firms have been rushing to increase benefits in a bid to recruit talent, notes the New York Times. Earlier this year, for example, Netflix unveiled an unlimited-leave policy for new mothers and fathers in the first year of a child’s birth or adoption. Facebook offers four months of paid maternity or paternity leave for all its employees in the United States, which is very generous by American standards. A 2015 study found that only 21 percent of employers offered paid maternity leave and only 17 percent had paid paternity leave, notes Reuters.